When we sold our 2013 Forest River 365 SAQ , we sold it to friends. It was the perfect bunk house for their 4 girls. 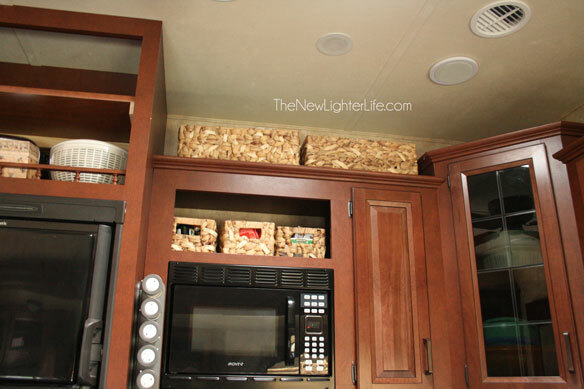 Our friends did a few simple modifications to the 5th wheel that made such a difference! Modifications that I’m kicking myself over not doing while we lived in there. My friend had heard me complain about certain aspects of the camper that she had the wisdom to change before they moved into it. So here are 4 changes they made to their 2013 Forest River 365 SAQ that were super helpful. Hanging Bar in Master Closet. This was so annoying to deal with. I understand the design aspect of having little notches for each individual cotton-pickin hanger. What a pain in the derrière! I get the purpose, to keep the hangers from sliding around during transport BUT the hassle is not worth it. 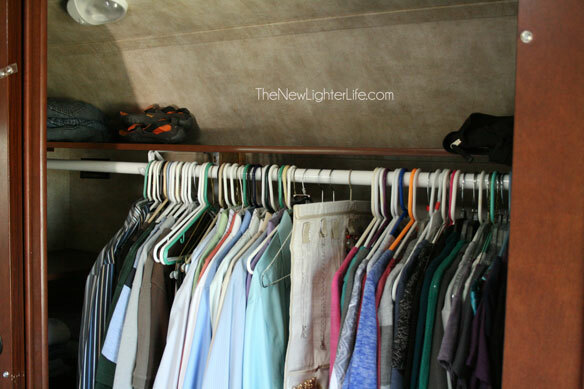 Our friends installed a regular closet bar for hanging their clothes. Sweet bliss! Why we didn’t do this is beyond me! Installed Shelves in Awkward Kitchen Cabinets. 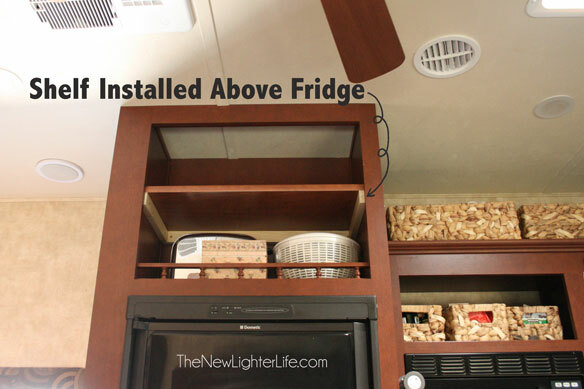 In the 2013 365 SAQ, there is an awkward shelf above the fridge. It is tall and not very deep. Our friends added one shelf, and now the space is broken up into a manageable area. I hated that area of the pantry and didn’t want to use it for the intended purpose as a garbage can holder. Much better. Okay, not really a modification but I love that they thought to use more baskets in the kitchen. It made the space much neater and clutter free. Baskets are an RVers best friend. I can’t talk enough about how good baskets are for keeping stuff contained and organized. Converted TV Cubby in Bunk Room. The last thing they did, which I absolutely LOVE LOVE LOVE. 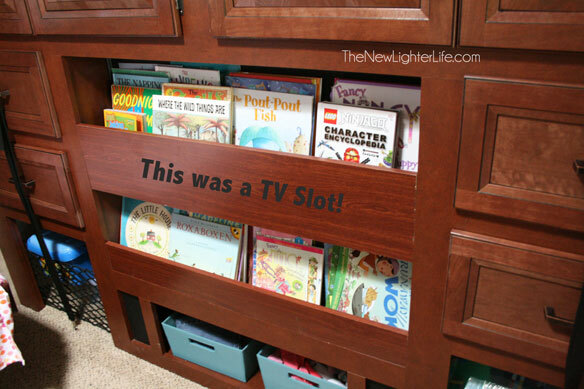 They didn’t want to put a TV in the slot so they modified the area so they put boards up and added a shelf to the area to keep their girl’s books. Brilliant. I debated about what to do with this same space, but in the end, I never could decide. They found the wood that matches perfectly at Menards. I can’t believe how good it looks and that it looks like it’s original to the RV. 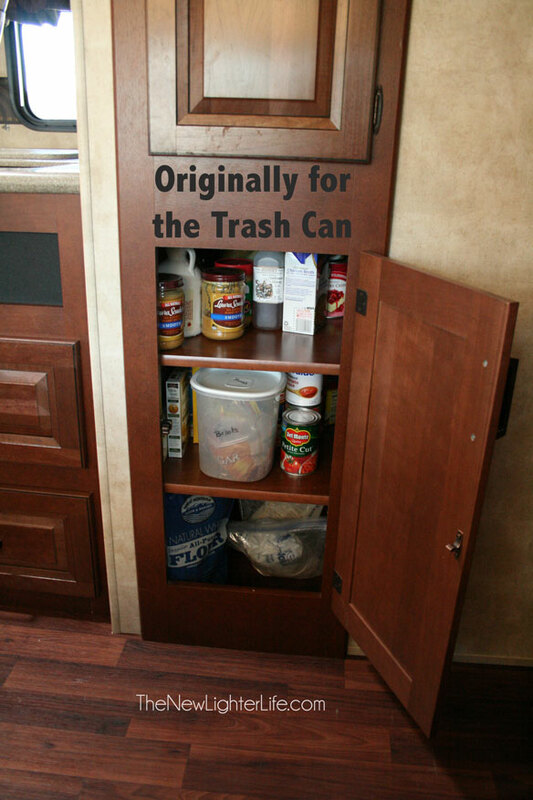 So there are some easy modification ideas for you if you have a Forest River 365 SAQ or similar annoyances in your RV. Our friends would never say they are handy. At all. But they did it. As I reflect on the changes they made to the 5th Wheel, I wonder why we procrastinated on doing these simple fixes? A tiny bit of work made such a difference and a tight space more enjoyable for them.